Tanya here. 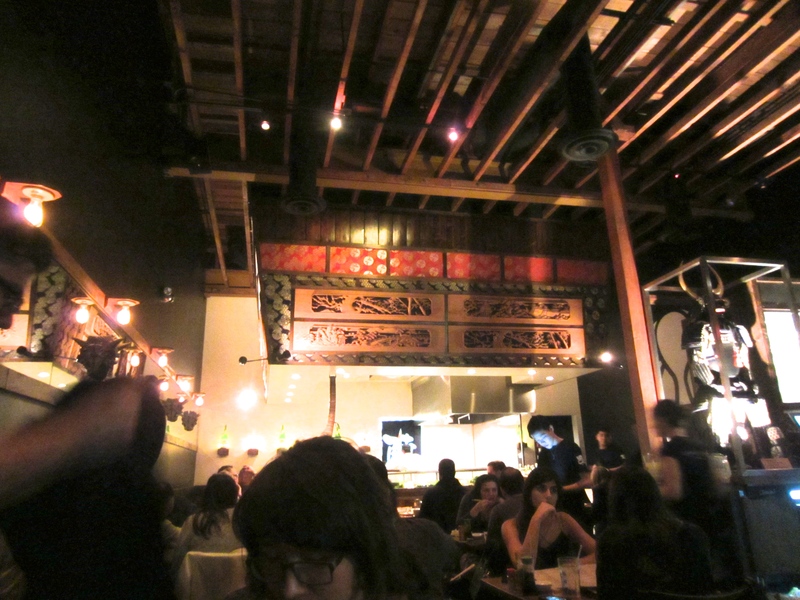 We went to a fancy shmancy ramen bar in Hollywood, Robata Jinya. The wait was around 30 mins but wasn’t too bad because it was around dinner time. The place is on the smaller side and pretty dark. Almost too hip for my taste haha. Hey folks, Joan here. I was so glad to have Tanya and her fiancé, Aaron, come out to Hollywood to see me perform. I had a gig with Matthew Jude Band at Molly Malones (back in December) and this was the first time Tanya had seen me play with him. Since she was coming out to see me, I thought we’d go on a ramen run! 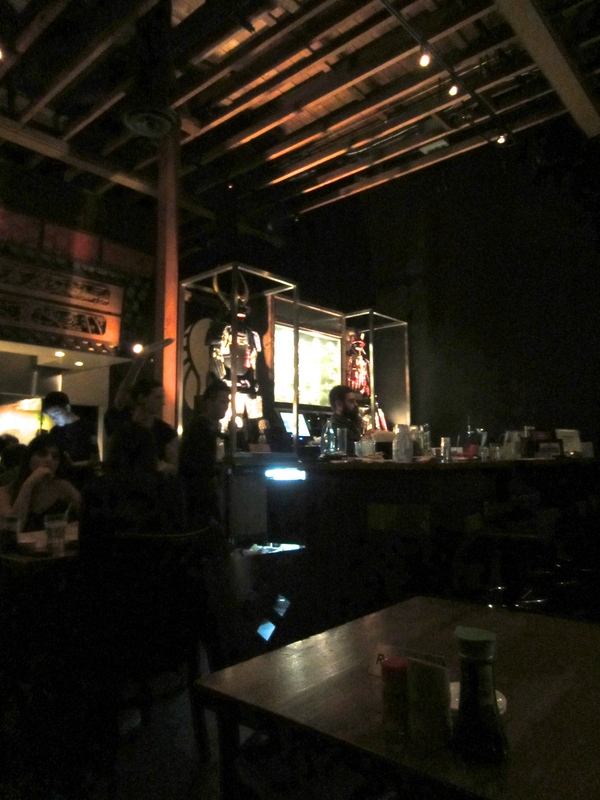 As Tanya said, the place was too hip for a ramen joint. The customers looked like they were going clubbing and most of the staff were not very welcoming. J: I ordered their Tonkotsu Hakata Classic. It took a while for them to bring us our food, so by the time I had it, the broth wasn’t that warm and the oil had congealed on the top. Yes, the broth was very oily and fatty, but it had a rich pork bone flavor. I loved the toppings that came with it, especially the toasted garlic and earwood mushroom. 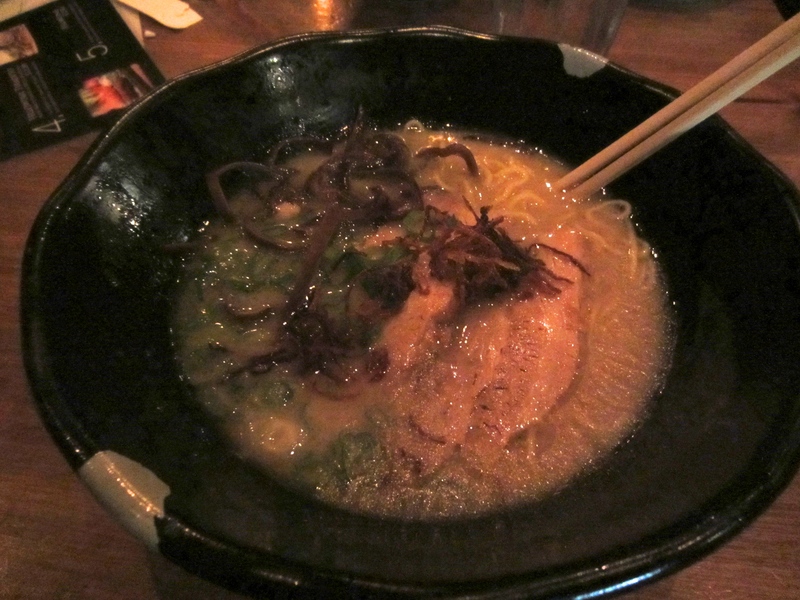 The chashu was pretty good, it was very tender and flavorful. The noodles were al dente, just the way I like it. T: On a side note. I hated the parking. Everything was either meter or parking lots with toll. We had to buy something at Trader Joe’s to get our parking validated and still had to pay around $6. Paying for parking when you just want to eat can be a drag but if you plan on going there are a lot of shops around, so check it out and walk off the ramen coma haha. 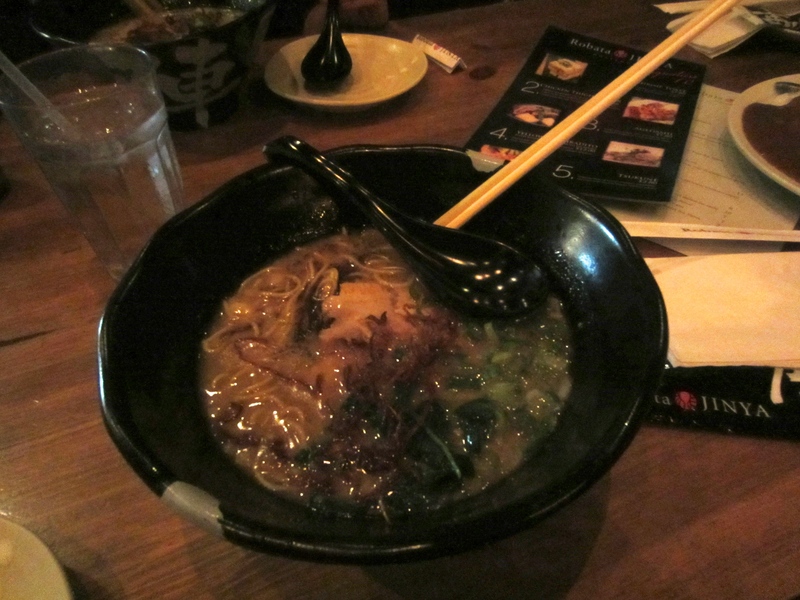 J: Overall, the ramen was good and the service was great from what I recall. Our server was very nice and he often checked up on us. I hate to say it, but I don’t think see myself going back here. The ramen was good but parking SUCKED. But that’s Hollywood for you. 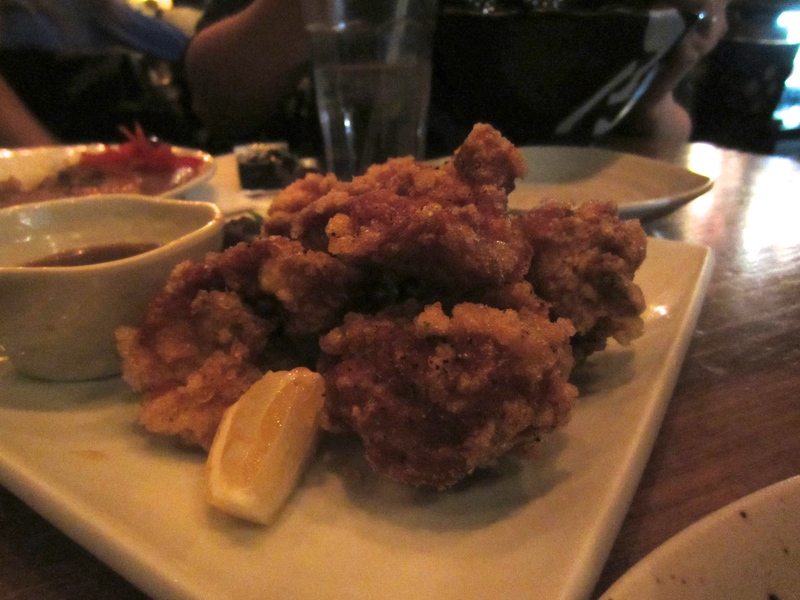 This entry was posted in Food, Foodie, Hollywood, Matthew Jude band, Ramen, Ramen Run, Restaurant Review, Tonkotsu. Bookmark the permalink.